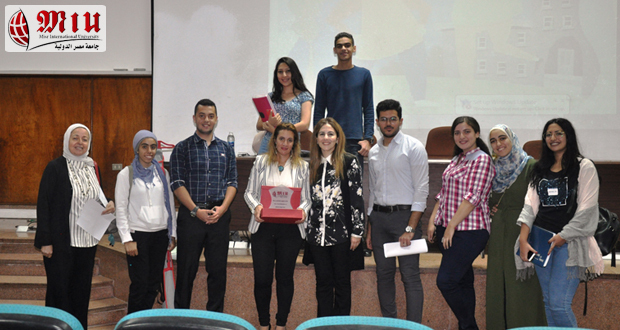 “Be Assertive for Better Communication Skills” that was the title of the second seminar organized by the Department of Management and Marketing, Faculty of Business Administration and International Trade. 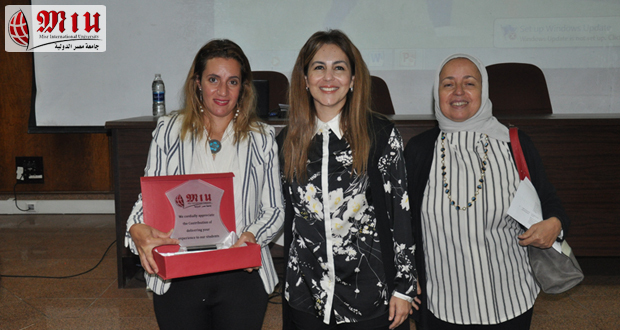 The session was conducted on Monday 15th October, 2018 by Dr Reham Aly, the Consultant Psychiatry, Director of International & Public Affairs Department, Compulsory Egyptian Medical Training Authority, Cabinet of Ministers, Egypt, Fellow of the Arab Board of Psychiatry, Egyptian Association of Cognitive Behavior Therapy, President. 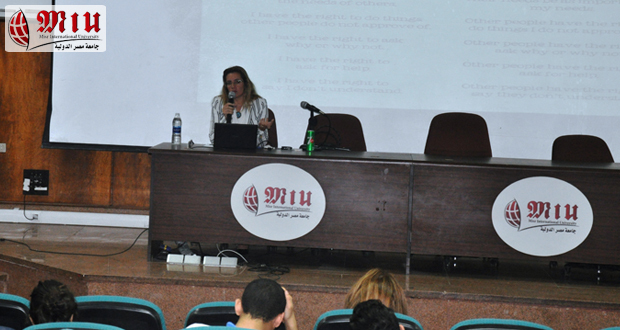 In one of the most interactive sessions, Dr. Reham Aly declared that having good communication skillS doesn’t mean that people should suppress their opinions to get along with others. Communication is a two side equation: Express your opinion frankly but take responsibility for your actions. Taking responsibility for a person’s action is the main factor that makes people refine, reform and adjust their behavior and talk. People are very much inclined to be less aggressive and more civilized when they consider the reactions of others. 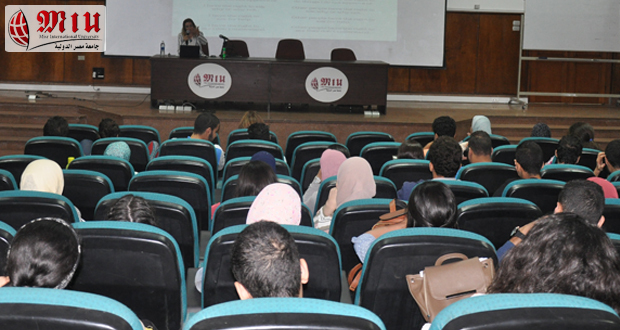 A very fruitful discussion took place between the stage and the floor reflecting the thirst of students to be addressed with a “reason to reason” and “logic to logic” language and their readiness to respond positively to rational dialogues.